We all know beer has only four ingredients—water, malted barley, hops and yeast—right? Those are the time honored and accepted building blocks—the true basis for the beery primordial ooze, as it were. Except it's not, and it hasn't been, for a very long time. The Brits and Belgians have used sugar in brewing for ages; while pumpkin, molasses, wheat, oats, and fruits of all kinds, defiantly dance on the grave of the Reinheitsgebot, as well. Yet, the word adjunct has taken on a negative connotation, especially when it's bookended with two other words—American and lager. Whereas at one time American adjunct lagers—like the Bushwick Pilsners of Brooklyn—were the apex of U.S. brewing, they've now been reduced to the beery equivalent of slumming it. My post about Schaefer, in this month's Session, got me thinking about American adjunct lager and their history, so I thought I'd expand on the theme a bit. American adjunct lager has become the epitome of bad brewing. The phrase alone implies sweet, mass produced, low-brow swill or flavorless, light-in-calories, DWIs in a silver can. The big boys of American brewing have done a phenomenal job insuring that quality won't ever interfere with profit margin. All that cutting of cost has done the lowly American adjunct lager a disservice. What's funny about that is, adjuncts have always played a part in American brewing—especially corn. Why? Let's take a look at some numbers—in 2010 The U.S. produced 4.9 million metric tons of barley. Between 2010 and 2011 it was estimated that about 2.9 million acres of barley were planted, or approximately 2% of the country's total crop area. How about corn? That's a little different—In 2010, the U.S. produced 331 million metric tons, or if you like, 12.1 billion bushels, of corn. That's 39% of the world's corn crop. Corn is America and therefore brewing with corn is American. It's obvious why corn became the go to grain for American brewing—it's here and there's a lot of it! We've been giving it out for a long time, as well. Take a look at British brewing records prior to the Second World War, they were rife with "maize." The only thing to interrupt that trend was the Kriegsmarine and their pesky U-Boats sinking supply ships coming from North America—ladened with corn, mind you—in the cold waters of the North Atlantic. Aldoph Hilter forced British brewers to move away from corn, not some yearning to return to traditional and "proper" brewing stuffs of yesteryear. While the big boys have exploited corn, smaller, regional breweries have embraced corn as part of their character. These "heritage" brewers have used corn for decades—it was part of their grist 100 years ago and it's part of their grist today. Historically, regional lager breweries, in the U.S., were as much a part of the make-up of their cities and towns, as their streets, parks and baseball teams were. Brands like Iron City, Old Style, Schmidt, Rainier, Old Dutch and Monticello, dotted the American landscape. These breweries and their communities were linked and, their identities became almost synonymous. Narragansett was Providence, Rhode Island's beer, and if you were in Providence, you drank Narragansett. Regional breweries supported local economies and their communities supported them. These breweries provided not only jobs, but also a way to relax after work. Here in Albany NY, Dan O'Connell—architect and puppet master of Albany's Democratic machine from the early 1920s to the late 1970s—also owned Hedrick Brewing Company. 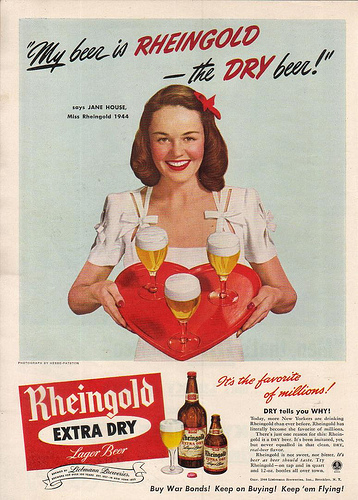 Rest assured, every bar, restaurant and distributor in the city carried that brand of beer in the 1940s and 50s. As time marched on, many of those local or regional breweries went the way of the dodo, or changed their recipes—usually as a result of a buyout—to compete with the über-brewers. 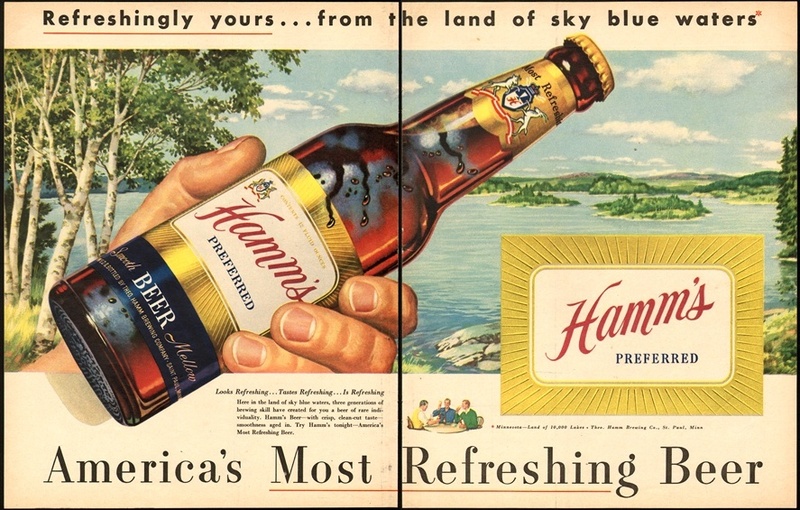 The beloved U.S., regional breweries of the 1940s, 50s and 60s—like Ballantine, Blatz, Hamm, Rheingold and Strohs—would never be the same. Although, some are still available, those that are, are shells of their former selves— having been bought and sold time and time again. Most of those heritage lagers are now being brewed in towns and cities far from those that they helped build. While most have changed or disappeared, a few still continue to operate. I took some time out to sample two of those rare, regional American adjunct lagers—Utica Club Pilsener Lager Beer from Utica, New York and Dixie Beer, hailing from New Orleans, Louisiana. Utica Club is brewed by F.X. 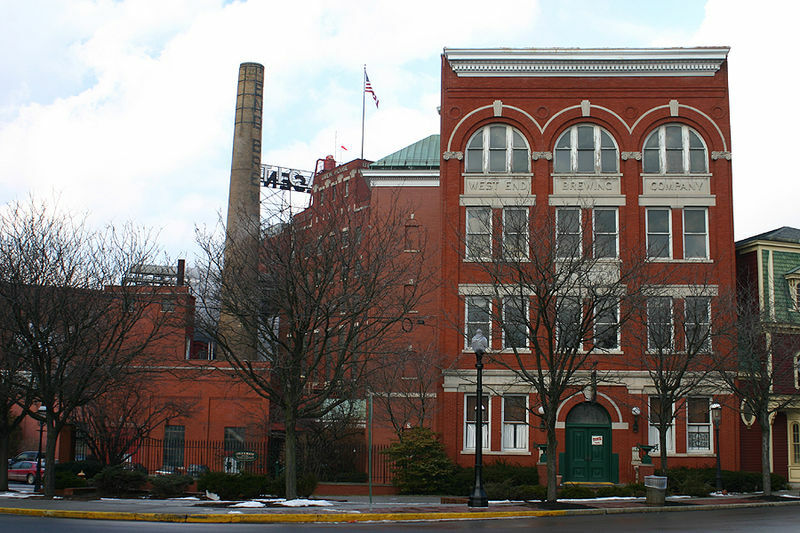 Matt Brewing Company—also known as Saranac Brewery and/or the West End Brewing Company—the second oldest, single family-owned brewery in the country. They've been in the Central New York beer biz for nearly 160 years— and U.C. has been in their fermenters since 1883 and was the first beer sold in the United States after prohibition. Arguably, the most famous aspect of Utica Club are it's iconic, animated beer steins "Schultz and Dooley," first introduced in the late 1950s. Dixie Beer, however, is a bit of an anomaly. The Dixie Brewing Company has been operating since 1907, brewing it's flag ship beer, Dixie. Mother nature interupted that stretch when the historic brewery, on Tulane Avenue in New Orleans, was essentially destroyed during Hurricane Katrina in 2005—looters even stole the copper brewing kettles in the aftermath of the devastation. The brewery remains off-line, however, Dixie and the brewery's other three beers—Blackened Voodoo, Crimson Voodoo and Jazz Amber—are still being made by the brewery's owners, under contract at Joseph Huber Brewing (brewer's of another well-known, mid-western regional beer, Rhinelander) recently re-named Minhaus Craft Brewery in Monroe, Wisconsin. Even an act of God can't seem to keep ol' Dixie down. Both beers poured, as expected, a bright and lively golden-yellow with giant dollops of white foam for a head. 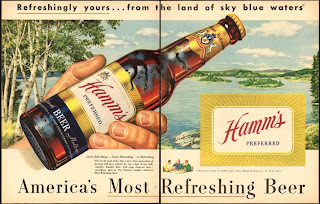 They looke exactly like every beer, ever illustrated for print advertisements in 1950s LIFE magazines. Both also smelled remarkably similar—grainy with a noticeable waft of sweet corn. Appearance and aroma is where the similarity ends. The Dixie was quite sweet—almost flowery—with a buttered bread finish. It has a grassy and earthy hop note with a slight citrus quality, as well. The U.C. was far drier, with a noticeable corny, cereal quality—a bit starchy—like dried pasta, in a good way. It has almost no discernible bitterness, with just the slightest, musty, hop flavor. Both, are most definitely corny and if you're in the mood—quite tasty. I have to admit something about these two beers. I have a soft spot in my heart for both of them. Utica Club could be the first beer I ever drank, and I'm fairly sure I kept the brewery business in, during the early 1990s, and my time at school, in Rochester, NY. Flash forward ten years—I spent two-weeks drinking nothing but Dixie in southern Louisiana, while on my honeymoon with Amy. Dixie is truly the perfect beer to drink while sucking crawfish heads or chowing down on a plate of étouffée. Love them or hate them, American adjunct lagers are what American brewing was, and quite honestly is. Just as Bitter, Burton and Mild were the bedrock of British brewing—bright, German-style lagers augmented with the most abundant grain in North America is the platform from which the American brewing industry was launched. Whether you like it or not, as Americans, we're as corny as Kansas in August—and so is our beer.